3 Bedroom End of Terrace House For Sale in Cranbrook for Asking Price £450,000. 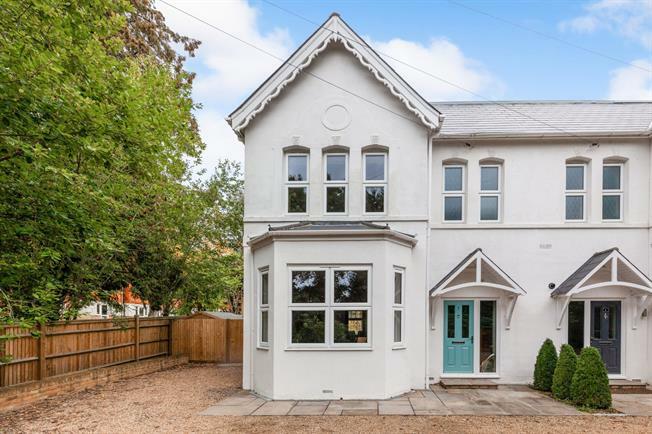 A very well presented end of terrace home recently converted from a detached Victorian residence located in a private development of four properties offering spacious accommodation across two floors. You enter in a light and airy hallway with oak staircase rising to the first floor. Double doors open on to the magnificent kitchen / dining family room - with high quality fitted kitchen and island unit. Off the kitchen is a utility room and WC. A separate sitting room finishes off the ground floor. Upstairs you will find three double bedrooms an en-suite shower room and family bathroom. To the rear are landscaped gardens with lawns, planted borders and a paved and decked terrace area. To the front is a private off road parking and there is also allocated parking in the private development.